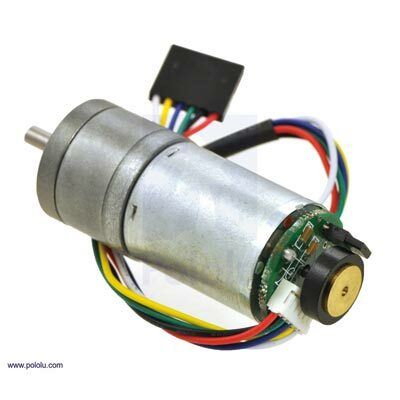 These tiny, high-torque gearmotors have the highest gear ratio of any motor we sell, which makes them a great choice for applications that require extremely low motor speeds. 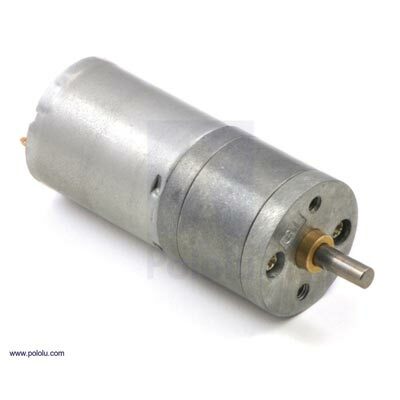 With no load, the output shaft turns at approximately 33 RPM at 6 V, and we were able to achieve rotation rates of around 2.5 RPM at 0.5 V on a test unit (note that performance will vary slightly from unit to unit). 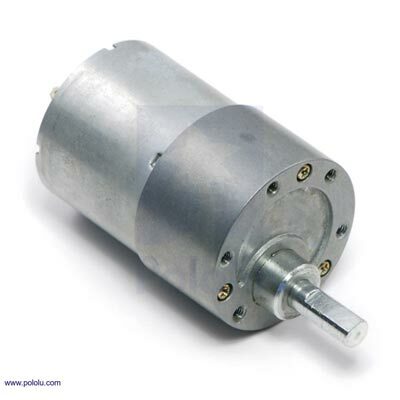 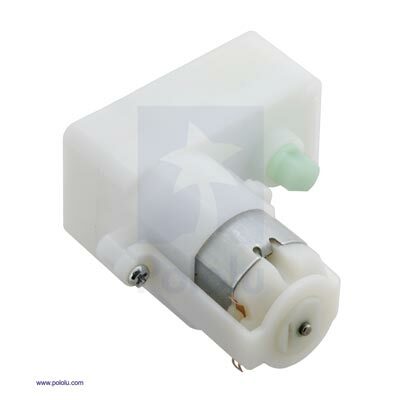 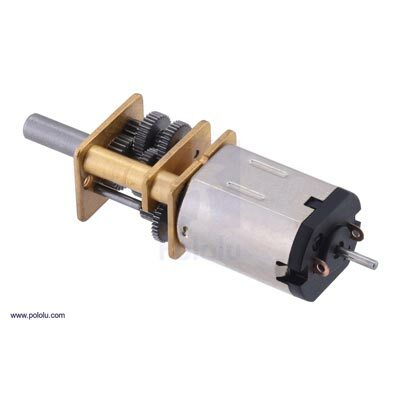 For a version that can turn even slower, consider the lower-power 1000:1 micro metal gearmotor, which has a no-load rotation rate of approximately 13 RPM at 6 V and close to 1 RPM at around 0.5 V.
Note: Because of the high gear ratio, these motors can generate enough torque to damage themselves, so you should avoid stalling them.